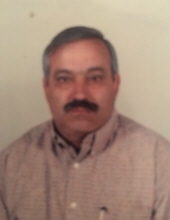 Manuel Pereira Fonseca, 64, passed away at Overlook Medical Center, Summit, NJ, on Thursday, December 6, 2018. He was born in Ovar, Portugal and came to the United States in 1966 and resided in Elizabeth, NJ. Manuel was a Maintenance Worker for Merck & Co. for many years. Beloved son of Rosa Pereira (nee De Jesus) Silva and the late Francisco Fonseca Silva; devoted husband of Maria Emilia Resende (nee De Oliveira) Fonseca; loving father of Francisco Manuel Fonseca and his wife Candice and Ricardo George Fonseca and his wife Emma. Manuel is also survived by 5 grandchildren. The Funeral Mass for Manuel will be offered on Tuesday, December 11, 2018, at 9 am at Our Lady of Fatima Church, Elizabeth, NJ. Relatives and friends are welcome to attend. The visitation for Manuel will be on Monday, December 10th from 5–8 pm. To send flowers or a remembrance gift to the family of Manuel Pereira Fonseca, please visit our Tribute Store. "Email Address" would like to share the life celebration of Manuel Pereira Fonseca. Click on the "link" to go to share a favorite memory or leave a condolence message for the family.